Healing Waters Lodge has space available for the “Fish Like a Guide, But Live Like a Client” fly fishing school. 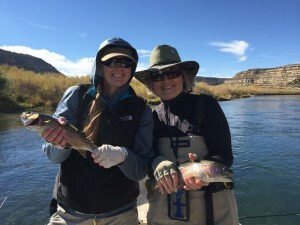 Cost includes single room occupancy, all meals at the lodge for six nights and five days of fishing, classroom instruction and guided fishing, one day of spring creek or private water, flies and use of lodge fly fishing equipment. – Arrive April 17th, school is 18-22, depart on the 23rd. – Arrive May 2nd, school is 3-7, depart on the 8th. Great to pick up more tips, sharpen your skills and get out on the water. Please contact Mike at 406-459-2030 for more information.